Music Learning Community : Subscription music theory service providing games and activities from primer through level 5. The Piano School has a group subscription. Each student has a username and password. Piano at Pepper : Online sheet music and music book orders. Ricci Adams' Music Theory : This is an excellent, FREE music theory website with several activities for students and no ads. 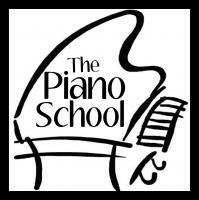 The Piano School's Channel on YouTube : Lots of student piano performances! Please note: student names are never used on YouTube. Virginia Music Teachers Association : Website of the Virginia Music Teachers Association (VMTA).